Wonderful Church print with flowers being taken in to it. 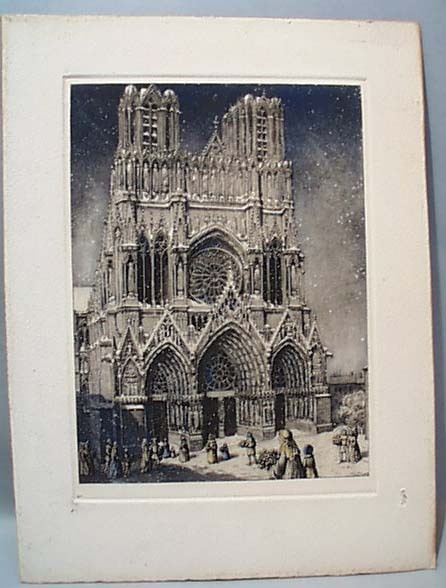 This is a nice older litho print with plate impression. Great tinted color of blue & yellow. Has just a little soil in matt area & a one little pushed in place in matt area. Printed area is excellent & this will frame nicely!! Very elegant, stately look. Great for office or den. Outside edge is 9 1/2 x 13" & inside area is 7 x 9 1/2"
Items Similar To "Wonderful Church Print"